Make the case and convince your employer that sending you to the Wellness and Recovery Summit is the right move. 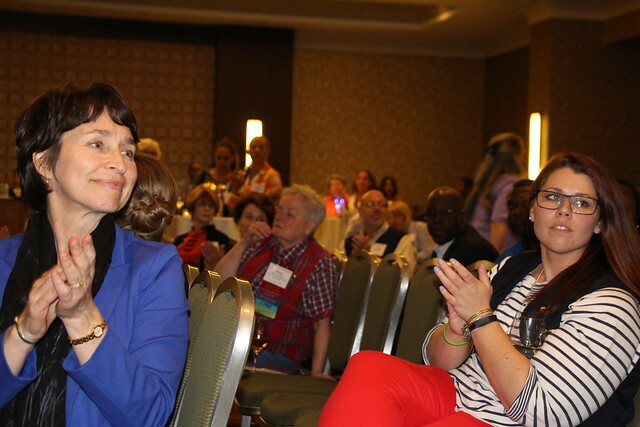 Anyone who has attended a previous Summit will tell you it’s one of the most inspiring, rejuvenating, and innovating experiences in psychiatric rehabilitation. It’s the only conference designed for psychiatric rehabilitation professionals in all areas and at all career levels. But chances are your employer isn’t looking to spend the travel budget to “change your life.” Your employer is likely more interested in changing the bottom line, so that’s how you have to frame your discussion. By focusing on the tangible benefits that will make you a more productive, more efficient, and more effective staff member of your organization, you're more likely to get approved. Ready to build your case? Here we go. 1) I’ll strengthen and broaden my skill set. From new recovery practices to policy, the Summit covers every facet of psychiatric rehabilitation in the 3-day event (4 if you participate in a pre-conference institute or the CPRP Prep Course). I'll get real-world information and processes I can put into practice as soon I get home, balanced by inspirational work from industry leaders. 2) I'll learn how to save the organization money. I'll learn zero or low-cost ways to implement new programs and services for more effective recovery practices. I'll also learn about exciting applications of technology. 3) I’ll learn how to make the most of the resources we already have. Whether I want to inspire our staff to greater heights of innovation or need to get by on the assets we have, I’ll learn tips for capitalizing on our current resources. 4) I’ll pick up ideas we can apply to our own organization. The faculty share real-world case studies from a broad spectrum of organizations. I’ll find out what worked and didn’t work to ensure our organization avoids facing the same challenges. 5) I can share what I learn with staff after the conference. Combining my own notes and ideas with session handouts, I’ll have plenty of inspiration and information to share when I return. 6) The Summit is an investment for our organization. I'll learn skills that will have a lasting effect on my work. I'll pick up plenty of tips and techniques that we can apply upon my return, but I'll also learn to be a stronger, smarter, and more current team member. 7) I'll make valuable contacts with industry leaders. Throughout the Summit, I'll meet leaders in the industry: vendors and sponsors exhibiting in the Learning Hub, program directors and CEOs in attendance, and professionals in all levels of employment across all professions within the field of Psychiatric Rehabilitation. 8) I'll receive CE credit required to maintain my certification/license. The Summit provides an opportunity for attendees to receive eight different types of Continuing Education Credit / Contact Hours. For more information on CE Credit available at the Summit, visit here.